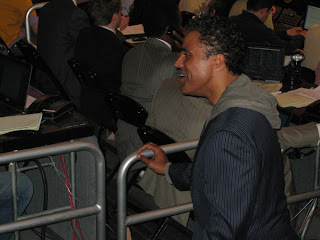 **** The picture is of Rick Fox at the Staples Center when the Los Angeles Lakers played the Utah Jazz in April 2009. Regardless, now that I don't have a horse in the race or get to see Rick Fox's booty shake (i.e. 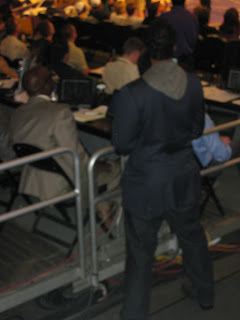 Fox has got "back"), I really don't care who wins. As far as I'm concerned, the show ended when Rick was eliminated. Incidentally, did you know that he's dating Eliza Dushku? I didn't... Wow. Good pull for her!